ABC’s hit TGIT series – Grey’s Anatomy, Scandal, and How to Get Away with Murder – have each been picked up for another season. It was announced today by Channing Dungey, president, ABC Entertainment. “’Grey’s Anatomy,’ ‘Scandal’ and ‘How to Get Away with Murder’ continue to keep viewers on the edge of their seats and wanting more. I’m thrilled to bring back these shows and the OMG moments that come with them,” said Dungey. Next season will be the 14th season of Grey’s Anatomy, the seventh season of Scandal, and the fourth season of How to Get Away with Murder. 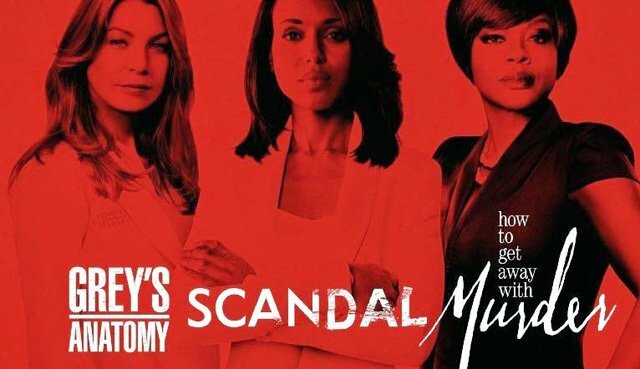 Grey’s Anatomy, Scandal, and How to Get Away with Murder have proved to be a stellar combination for the network since the January return of the three shows from Shondaland’s Shonda Rhimes and Betsy Beers. All three shows are produced by ABC Studios. The return of TGIT on January 26 drove ABC to Thursday season highs and made it the No. 1 network each week since the return, among Adults 18-49. In its 13th season, Grey’s Anatomy is ABC’s No. 1 show among Adults 18-49, ranking among the Top 10 series on TV and as the No. 3 broadcast drama. On its midseason return (1/26/17), Grey’s marked its most watched telecast overall since September 2014 and hit its highest young adult number since September 2015 – since 9/25/14 and 9/24/15, respectively. Scandal premiered with its biggest audience in over 14 months and its best young adult number since its midseason return last February – since 11/19/15 and 2/11/16, respectively. Since its season opener, Scandal has finished a strong No. 1 in its hour on all 3 telecasts among Adults 18-49. Ranking No. 1 in its hour on all 3 weeks this season among Adults 18-49, Scandal has won its hour by double-digits on each telecast over its nearest competition. How to Get Away with Murder is the dominant No. 1 drama this season on Thursday at 10:00 p.m. in Adults 18-49. Murder came back to its midseason return with new season highs and its best performance in nearly 1 year – since 2/11/16. The drama is among the biggest gainers on TV this season in the Live + 7 Day ratings, more than doubling (+117%) its Live + Same Day Adult 18-49 number. Scandal has consistently ranked as the most social broadcast program of Thursday nights since its winter premiere. Overall, TGIT has garnered over 2 million total interactions since its return three weeks ago. The franchise has placed within the top four most social broadcast programs on Thursday nights each week since its return.